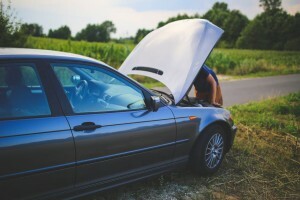 If you want to avoid the most common reasons why vehicles break down on the road, you should read and follow the tips mentioned in this post by Superior Synthetics, LLC in Clintonville. Maintain your vehicle perfectly with AMSOIL products. Call Superior Synthetics LLC in Clintonville at (715) 823-6525 or browse AMSOIL's online shop to place an order today! Your vehicle needs a functioning electrical system in order to run properly; some of its key components require electricity to work. For example, your headlights would be completely useless if it weren't for the electrical system. It is so important, in fact, that if it's not in great condition, your vehicle wouldn't even be able to turn on, let alone get you to your destination. Still, as you would guess, the electrical system can malfunction, so much so that it is one of the main reasons why vehicles break down on the road. A dead battery, a burnt fuse, a frayed wire, and other similar issues could result in a faulty system that could leave you stranded on the side of the road. That's why it's imperative that you check your vehicle's electrical system regularly, and that you care for it the best you can. A professional mechanic would be able to assess its condition and let you know how it's doing. Keep in mind, however, that the average lifespan for a battery is 3 to 5 years, after which you will need to replace it. To care for it, don't allow corrosion to build on it, keep the clamps properly adjusted, and avoid doing things that could drain your battery or damage the electric system (like leaving the lights on all night). It's no secret that your engine works incredibly hard to move your vehicle from point A to point B. But when it does, its moving parts start to brush one against the other, creating friction and elevating your vehicle's temperature significantly. Fortunately, there's coolant that has the job of regulating the vehicle's temperature to keep it from becoming a problem. Furthermore, the synthetic oil you pour for your engine can also be of assistance, as it smooths the processes inside the engine and reduces the amount of heat that's generated. Unfortunately, however, these fluids need to be checked upon and replaced on a regular basis. If you don't comply with this, you'll surely fall victim of another one of the most common reasons why vehicle's break down on the road: an overheated engine. Still, if you forgot or didn't do the replacements for one reason or another, and your vehicle shuts down, there are things you can do. First, stop in a safe spot and open up the hood to ventilate the engine. Then, find coolant or water (you should keep a bottle in your vehicle). After you've waited for over 30 minutes, poor the liquid into the cooling system. Once you're done with that, you can continue on your way. AMSOIL's Signature Series 0W-20 Synthetic Motor Oil is the best synthetic oil in Clintonville. Purchase it to keep your engine strong by calling Superior Synthetics LLC in Clintonville at (715) 823-6525 or browsing AMSOIL's online shop. Flat tires are one of the most common reasons why your vehicle may shut down. However, when you consider how much stress your tires are put through on a regular basis, you may be left wondering why they don't wear down more frequently. Think about it: they have to put up with the vehicle's weight (and everything that's in it), they have to carry the vehicle from one place to another, and they have to endure the friction that happens between them and the road when they're moving. Plus, they need to go over broken glass, nails, uneven terrain, and much more. Needless to say, you need to take good care of your tires after all they go through. For starters, inspect them often to ensure they're in perfect working shape (beware of signs of wear and tear); if they're not, replace them. You should also make sure that the air pressure in them is just right. Likewise, think about when you last replaced them, as time can also take a toll on them. Keep in mind that all of this goes for the spare tire as well, so it's good to go in case it's ever needed. Call Superior Synthetics LLC at (715) 823-6525 or browse AMSOIL's online shop to purchase high quality products for your vehicle, such as the best synthetic oil in Clintonville.